The south Aegean islands, notably the breathtaking Santorini, Milos, Astypalea, Anafi and Amorgos can be reached by bareboat charters from Parikia port on Paros island slightly further north. Yet, when planning a 2 or 3 week itinerary you should also consider the ports of Rhodes, Kos, Syros (Finikia) and even Athens or Lavrion! 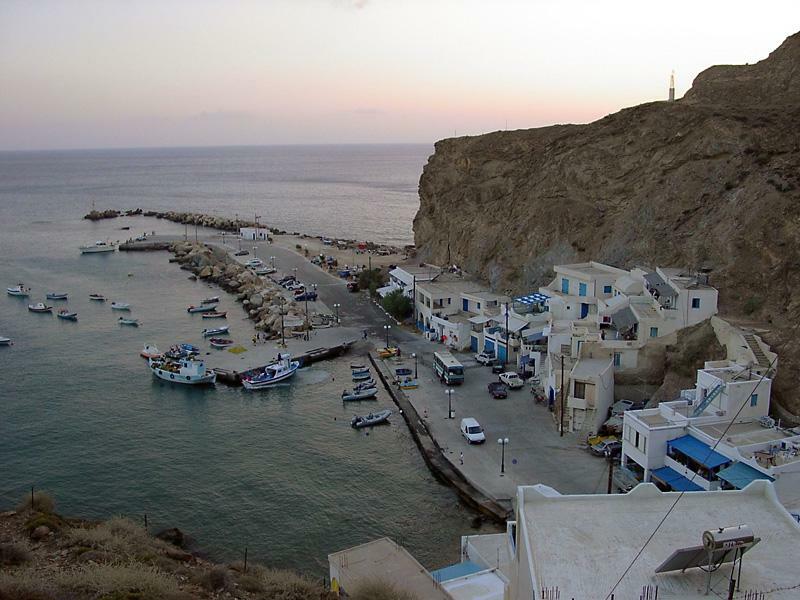 Between Astypalea and Santorini is the ideal stepping stone of Anafi island, charming and completely off the beaten track with glorious beaches. Besides two small rocks and three tiny islets (Pakhia, Makra and Avko) the first island on its south side is a long stretch of coastline of Crete - always a lee-shore but more than 60 nautical miles away. The Cyclades are the most pristine islands in the whole Mediterranean basin, the only downsides of bareboat charters in this area are indeed also the advantages: longer distances between the ports and anchorages, more wind and higher waves, rougher coasts and outside the main ports less amenities. Therefore more adventurous, less fellow tourists and more natural beauty. But note that the reliable charter companies will take care of you are provide a more than safe bareboat yacht which will stand against any Meltemi storm. Furthermore, the weather is well forecast via VHF or radio and is often also distributed in ports. Since many of the islands really deserve to be explored more than a mere one day, it is hardly torture to spend a second night of nearly all of the islands. Make sure that your yacht is secure in the more secluded ports like Katapola, Vlichada, Mericha, Parikia, Karavostasi, Naxos, Parikia, Naoussa, Ios and rent scooters to visit the inlands of the islands. On Santorini moor besides Vlichada - the most secure port - also at the new volcano in the middle of the volcano (kammeni) as well as the island of Thirasia. On 7 April 2007 the Sea Diamond - a large cruise ship - sank right below Fira town on Santorini, so caution is necessary in these waters.